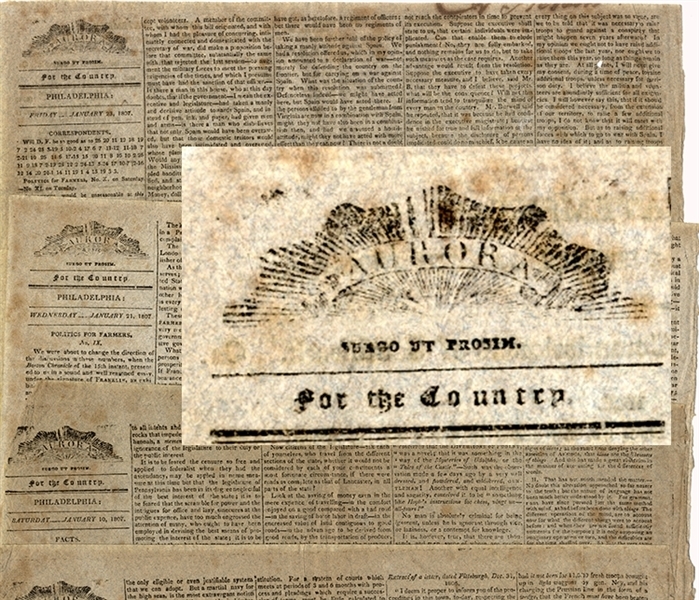 Thirty Eight issues of the Aurora , Philadelphia, various dates, 1807-1812, single sheet issues, VG. Founded by Bejamin Franklin Bache, the grandson of his namesake. The newspaper reported national news, ocassionally international news. It was a political ally of Thomas Jefferson.